The universe puts Reed Richards on trial for saving Galactus’ life. Dr. Doom also factors in the story. 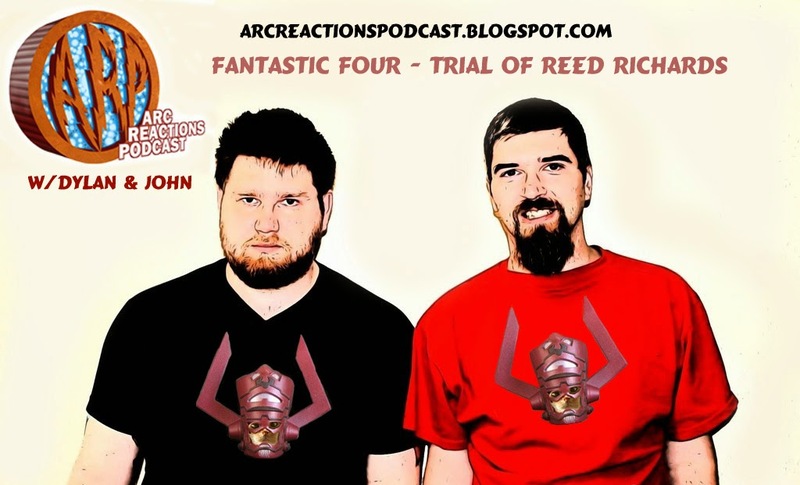 We discuss Galactus and Latvaria and much more. Does this 11-issue story from the early 1980s hold up? How will the Fantastic Four escape this time? Join us as we explore this story from Marvel Comics’ past. Please join us in March 30th for our 50th episode where we recap our time at Emerald City Comiccon. This entry was posted in Arc Reactions Podcast and tagged Arc Reactions, Batman, Comics, Dr. Doom, fantastic four, female characters, Galactus, General Zod, green goblin, Herald, Human Torch, Johnny Storm, Marvel, podcast, punisher, Reed Richards, superhero ethics, Terrax by John. Bookmark the permalink.